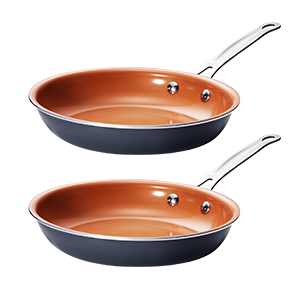 Copper Gotham Steel™ Pans | The newest non-stick cookware made with ceramic and titanium! THIS OFFER IS NOT AVAILABLE IN STORES! Fill out the form below or call 1-800-514-7375 to order your Gotham™ Steel now. 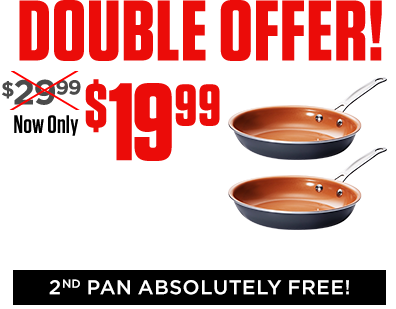 Buy the Gotham™ Steel 9.5 pan for just $19.99 + FREE shipping and we'll send you a 2nd BONUS pan free, ABSOLUTELY FREE! 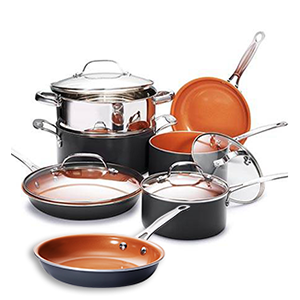 Or you can purchase the 7 piece set for $49.99 + free shipping and get a FREE 9.5 pan or choose the 10 piece set for $89.95 free shipping and get a FREE 9.5 pan. 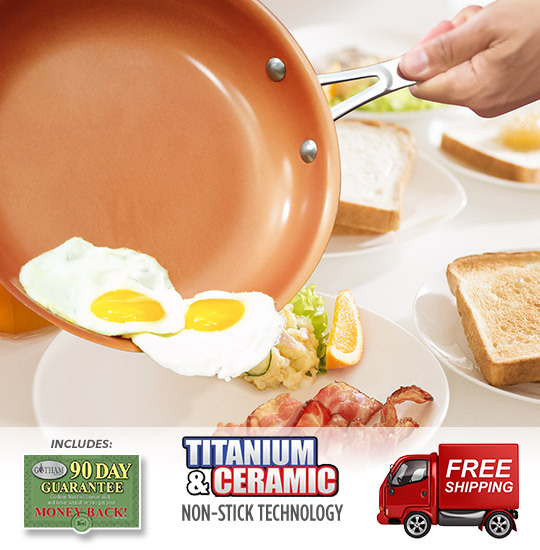 *High grade aluminum cookware with stainless steel handle. Sales tax will be applied to orders from CA, NJ, NV & NY. A $10 shipping surcharge will be applied to orders from AK/HI. A $20 shipping surcharge will be applied to orders from PR. 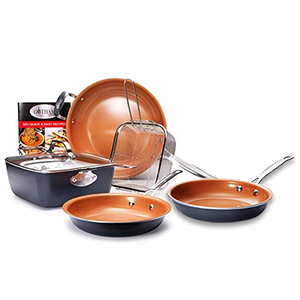 You may also call 1-800-514-7375 to place an order.